Your Local Paper is celebrating its sixth anniversary by teaming up with The Queen Elizabeth Hospital to give a very special present to patients and staff. 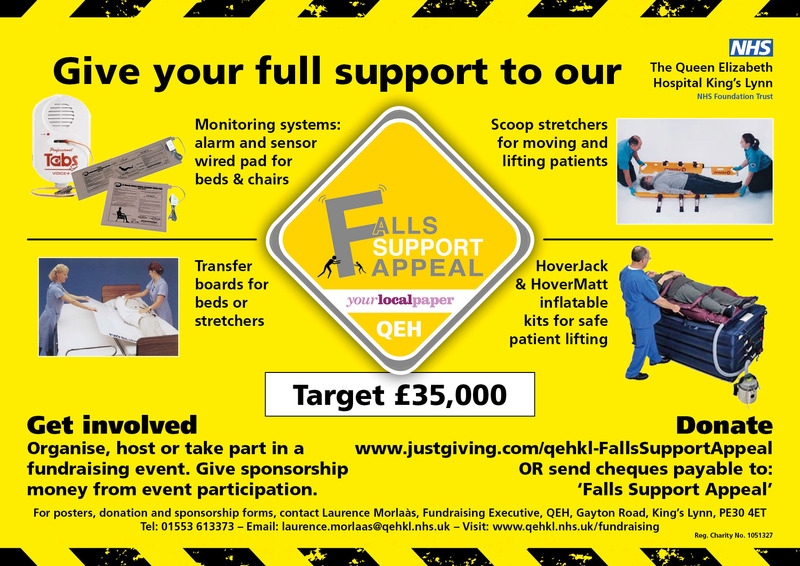 The Falls Support Appeal is aiming to raise £35,000 to buy specialist falls prevention equipment such as monitoring systems, which include alarms and sensor wired under-pads for beds and chairs as well as falls management devices used to move and lift patients of all ages. Included are scoop stretchers, transfer boards and hover inflatable mattresses. Alan Taylor,managing director of YLP, said: “What a great way to celebrate our sixth anniversary by launching a campaign with the QEH, benefitting the very community we serve. “The equipment we are asking readers to help raise money for will make all the difference to patients and staff. We are delighted to help and look forward to reaching the target. 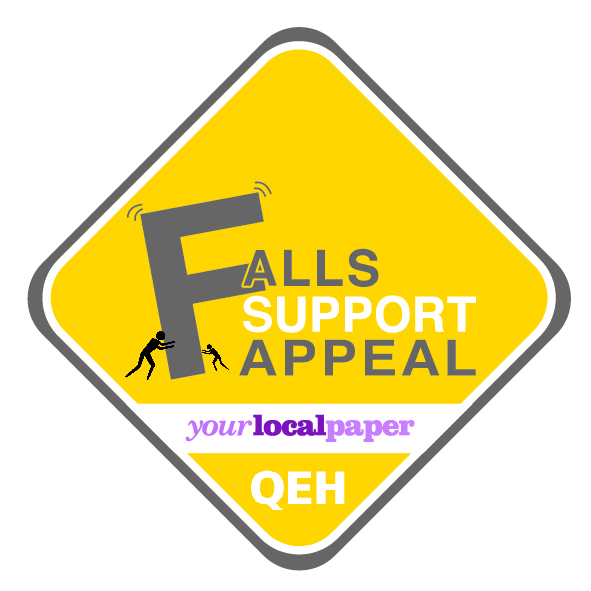 The QEH is also hoping to buy two patient flat lift kits, including one to assist bariatric patients. These kits include a HoverJack, which is an inflatable device to lift a patient lying on their back on the floor to stretcher or bed height. 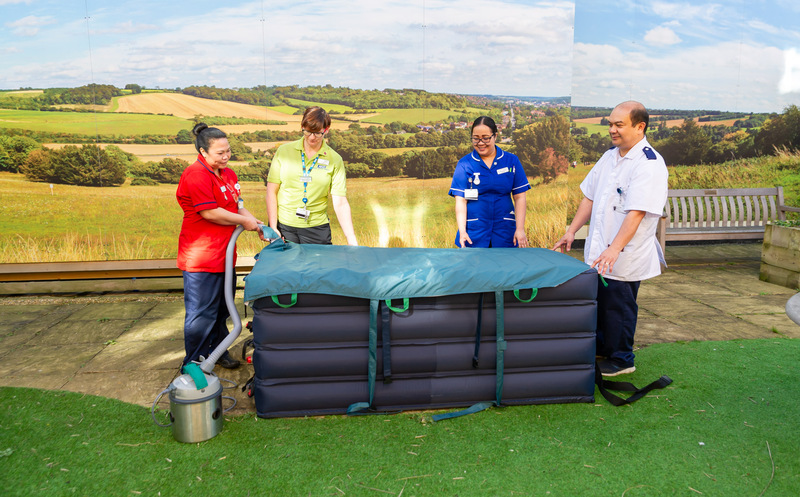 A HoverMatt is also included – the mattress allows safe patient transfer onto a bed or stretcher. The kits come complete with air supply facility and storage cart. Falls prevention specialist Nurse Rose Avanzado has said the new equipment is going to make a huge difference to both patients and staff. She said: “There are a variety of reasons why some of our patients can be at risk of falling. 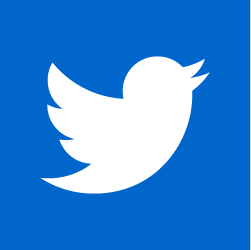 This can be down to delirium and disorientation or if they have a background of dementia or another cognitive impairment. 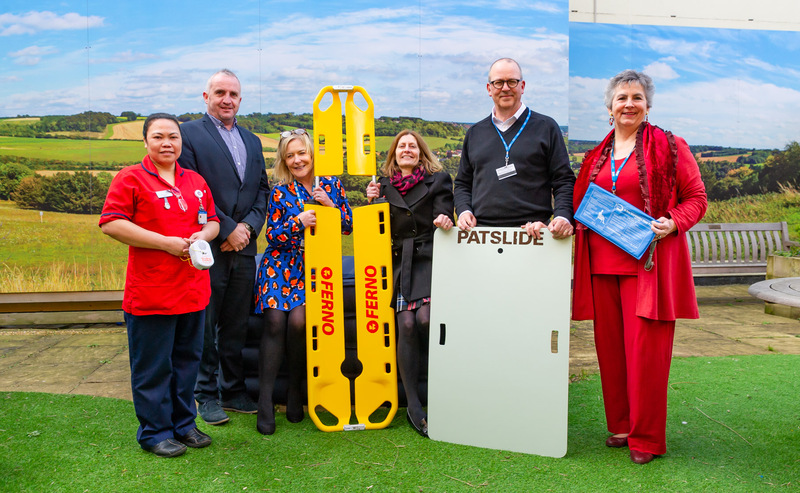 “This new equipment is going to mean such a lot to the staff, especially knowing that is going to be funded by people in the community of West Norfolk. The hospital would like individuals, businesses, groups and communities to get involved by organising or hosting fundraising events and activities, giving sponsorship money from event participation or sending donations. 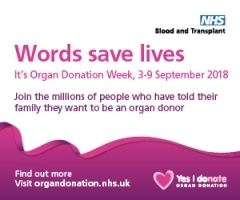 If you would like to help and get involved, or for more information please contact hospital Fundraising Executive, Ms Laurence Morlaàs, QEH, Gayton Road, King’s Lynn, PE30 4ET or ring 01553 613373 or email laurence.morlaas@qehkl.nhs.uk.